The room temperature sensor is installed in the instrument panel. It detects the cabin temperature to control the air conditioning AUTO mode. The resistance of the room temperature sensor changes in accordance with the cabin temperature. As the temperature decreases, the resistance increases. As the temperature increases, the resistance decreases. The A/C amplifier applies voltage (5 V) to the room temperature sensor and reads voltage changes as the resistance of the room temperature sensor changes. This sensor also sends appropriate signals to the A/C amplifier. (d) Enter the following menus: Body / Air Conditioner / Data List. (e) Check the value(s) by referring to the table below. 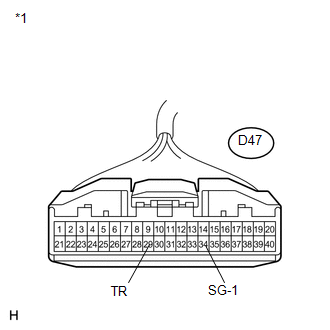 (a) Remove the room temperature sensor. (b) Disconnect the room temperature sensor connector. 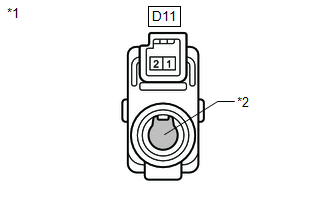 Hold the sensor only by its connector. 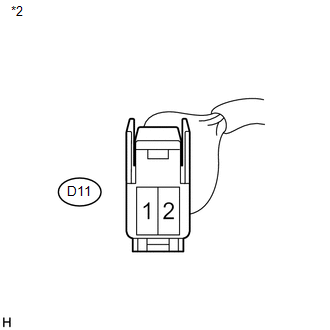 Touching the sensor may change the resistance value. When measuring, the sensor temperature must be the same as the ambient temperature. 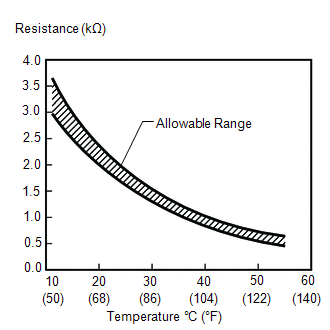 As the temperature increases, the resistance decreases (see the graph). (a) Disconnect the A/C amplifier connector.